The preliminary object is abstaining from alcohol completely. If you are obese, target to lose weight. If you are a diabetic, target to keep blood sugar levels under control. Speak to your dietitian and doctor and chalk out a healthy meal plan for yourself. Indulge is some type of physical activity. You are sure to feel healthy from within. It will help you boost your metabolism and aid in weight loss too. Liver is body’s chemical workshop. This largest organ of the body is mainly responsible for the metabolism of nutrients essential for life. 1. To convert carbohydrates to stored energy. 4. To absorb absorption and storage of various nutrients. 5. To act as a filter to remove alcohol and toxic substance from body. 6. To process drugs and medications enabling the body to use them effectively. As mentioned earlier, the liver usually breaks and filters the excess alcohol from the body. But in the process of breaking down the alcohol it produces harmful substances which damage the liver cells. The lives generally repairs its old damaged cells with new ones. However constant intake of alcohol causes inflammation of the liver. This is reversible if dietary and lifestyle modifications are introduced at the right time. If not treated, it can lead to Alcoholic Hepatitis and Cirrhosis, which can be life threatening too. When the original cause of the fatty liver is not alcohol, it is excess fat build up which causes the liver to swell. This might be accompanied by inflammation sometimes. If the liver isn’t inflamed it may not show any symptoms and may not pose a problem too. But if the liver is inflamed, it may causes fibrosis or scarring which is harmful. This may progress to cirrhosis or liver cancer. 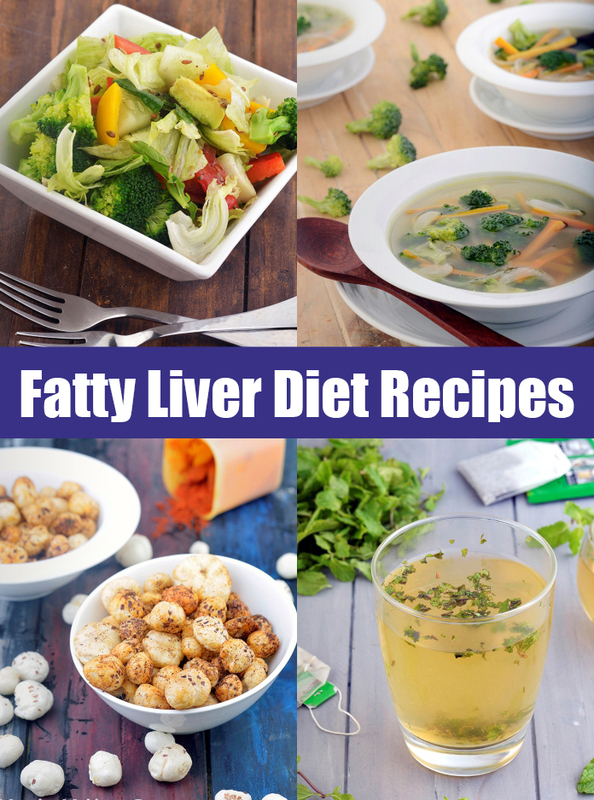 How is Fatty Liver Treated? 1. Focus on the whole grains and beans like barley, oats, bajra, moong, matki etc. 2. Consume as many fruits and veggies as you can. They are full of antioxidants and low in calories and fat. Reach out for broccoli, capsicum, onions, garlic, grapefruit, berries etc. 3. Very little sugar, salt, canned foods, baked goods, breads, pasta, saturated fats like butter and margarine. 4. Avoid the fried foods completely. Look out for healthy options like Ragi and Oat Crackers and Baked Bhakarwadi. 5. Add a dose of omega 3 fatty acids in the form of avocado, walnuts, pumpkin seeds, flax seeds etc to your diet daily. 6. Reach out for vitamin E rich foods like sunflower seeds, almonds and some greens like Kale and Spinach. They help in protecting liver cells. 7. Devour Green tea if possible. It helps in weight loss as it interferes in fat absorption. 8. Limit the intake of non-veg foods especially the red meat. 9. Opt for low fat milk if targeting to loss weight or control lipid levels. Here’s how can make low fat milk at home. 10. Reach out for healthy snacks like Peanut butter, Garlic hummus, healthy curd based dips, baked snacks etc.